The New York Yankees are heading into the postseason without the services of one of their long-time dependable pitchers, C.C. Sabathia, who has admitted that he has a problem with alcohol. The veteran left-hander is checking into a rehab center and will miss the postseason. This is a shocking setback for the Yankees. 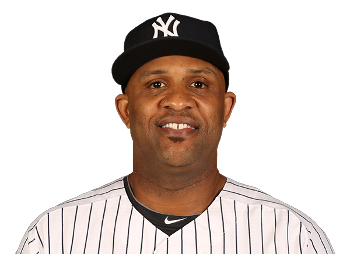 On the one hand, you have to admire Sabathia for seeking the help that he needs. He says that he wants to become a better family man. On the other hand, he certainly has let his teammates down by putting himself in this position. They have worked hard to get where they are, and they had hoped that C.C. would be there to help them achieve success in the postseason. This is just another example of how alcohol causes a lot of pain in many people’s lives. Keep this in mind as you watch the beer commercials between innings. “Do not gaze at wine when it is red, when it sparkles in the cup, when it goes down smoothly! In the end it bites like a snake and poisons like a viper.”—Proverbs 23:31-32. This entry was posted in Christian Living, Current Events, Sports and tagged alcohol rehab, baseball postseason, beer commercials, C.C. Sabathia, drinking problem, illustration, New York Yankees, Proverbs 23:31-32. Bookmark the permalink. I don’t know how you do it, but I just spend the last two hours writing about my walk through town with a drunk that I intend to post this evening after proofreading it again. I would say we are thinking about many similar things today. Thanks for sharing.